Franchise dealerships are capturing only 30% of the $350 billion spent annually by consumers on vehicle service—why? 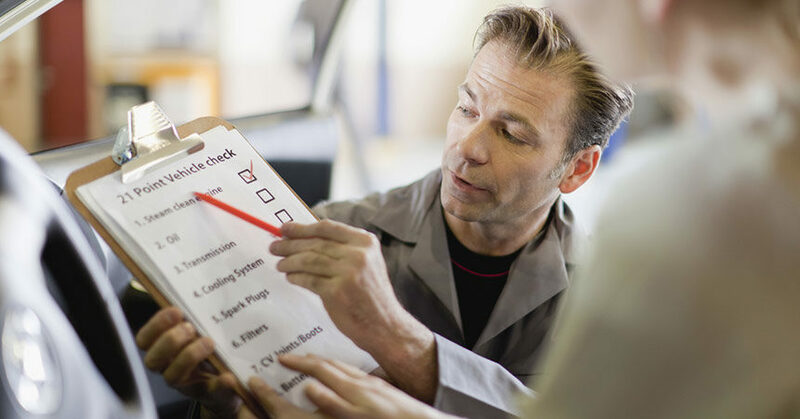 Dealerships collectively write up more than 315 million repair orders annually—nearly 10 times the transactions of new and used vehicle sales combined. Yet of the $350 billion spent by consumers on vehicle repairs annually, franchise dealerships are capturing only 30% of the business. Contributing to these missed opportunities is the fact that most dealers I speak with focus nearly all of their marketing and advertising efforts on vehicle sales. This always surprises me because we know the impact that the service and parts departments have on the bottom line of the dealership. Combine this with the proven research that your service customers are two to three times more likely to purchase their next vehicle from your dealership, and you would think dealerships would concentrate more on service-oriented marketing. Now, don’t just think you can take a portion of your current sales-oriented media buys and switch the creative to target service customers. Your media needs to support your service-oriented creative, not the other way around. And to do that, you need to study the psychographics of your service customers. In other words, get into their mindset and base your strategy on their habits and lifestyles. You need to take a look at your current service business patterns. This will give you a roadmap to follow when placing your media buys. Whether you are using traditional media such as TV, radio, and direct mail, or digital marketing such as paid search, social ads, and emails, the same principle applies. Start by tracking when customers contact your dealership to make appointments. Do this for phone calls, website schedulers, and general emails to your service department. Also, track when customers show up without an appointment. In addition, you want to break this down further by type of service. For example, what is the pattern for quick-fix items like regular oil changes versus more expensive repairs? This will help you when you are fine-tuning your message and offers. Do this for at least a 90-day period. If you’re in a market that has drastic seasonal changes, you’ll want to track those time periods separately. As you see the patterns emerge, use the information to create a strategy that maximizes your buys a day or two before the busiest appointment-scheduling days. You want your message to resonate before consumers decide to make their appointment or show up without one. And finally, a few words on greeting customers in the service drive. Those six words can be your downfall. If your customer has an appointment, you just let them know you weren’t expecting them. Not a good first impression. And if your customer doesn’t have an appointment, you just made them feel like they are going to wait longer. That’s an even-worse first impression. Now you need to get started, and get serious about service. To often dealers focus on the front end of their business rather than pulling sales from their service department. If customer loyalty is good then they can expect 70% will repurchase every 4 to 5 years. I will let you do the numbers on that. So many procedures need to be in place, but well worth it.